You hear it. The awful sound of carbon snapping and bikes and bodies scraping along the road. You are now flying through the air, having detached from your bike completely, launching head first towards the ground. Suddenly you come to a stop, sit up to dust yourself off, and upon standing realize something is terribly wrong. You cannot lift your arm and instead it just hangs lifeless by your side. Worse still, your shoulder is becoming more painful by the second. A million things go through your head of what may have happened, but you take your hand and run it along your collarbone only to realize there is a large bump in it that was not there before. Unfortunately, you just joined a large contingent of other cyclists who have had to deal with broken collarbones. Fear not though, bones will mend and your fitness will return! 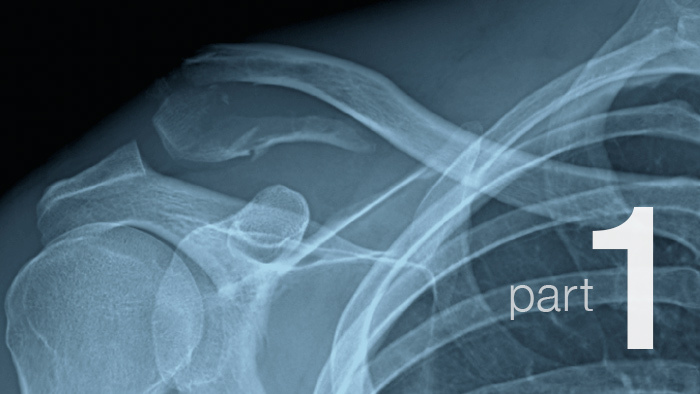 This post will discuss the different varieties of collarbone breaks and what is typically done to repair them to get you back on the bike as quickly as possible. Your collarbone (clavicle) is a long thin bone that runs from your breast bone (sternum) to your shoulder blade (scapula). Its purpose is to act as a strut between the two attachment points and the shoulder blade fixed to allow the arm to move about unrestricted. For the purpose of this article, we will divide the types of breaks it into three sections: medial (towards the breast bone), shaft, and lateral (towards the shoulder blade). These are the three places the bone can break or fracture, with the severity and location of the break dictating what is done to expedite healing. 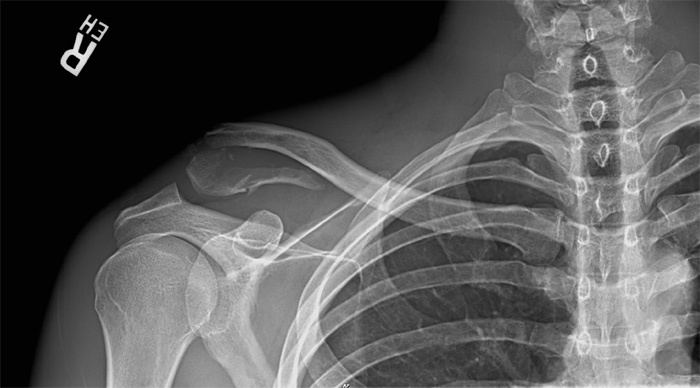 Once the collarbone break is confirmed with an x-ray, the doctor will recommend seeking further advice from an orthopedic specialist. Upon meeting with the orthopedist, they will advise you either to go under the knife and have the collarbone reduced surgically with plates and screws. If the pieces of bone have not separated far and are relatively lined up well you are luck and will not require surgery. If you are fortunate and the pieces of collarbone are relatively close together and line up well, you will be placed in a sling for 6 to 10 weeks. Every case and orthopedist is different – normally you will be instructed to keep your arm and shoulder as still as possible to encourage the two pieces of bone to mend with the only exercises being pendulums and possibly passive range of motion to discourage the shoulder from freezing. In other cases, surgery is necessary because the two pieces of bones are separated so much and/or are not lined up well. Here is my collarbone post-crash. As you can see, the two pieces of bone are very far apart and not lined up well at all. Surgery, here I come. 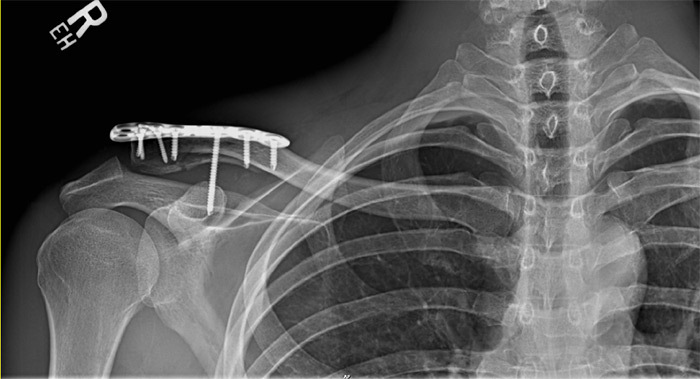 Surgery is done as soon as possible and involves placing a plate along the length of the collarbone to reinforce it, and screws to align the bones up again and keep them in place. This is called a collarbone O.R.I.F. (Open Reduction Internal Fixation). Here is my collarbone after the surgery. You can see the surgeon used a plate and screws to affix my collar bone back together to allow it to heal properly. Similarly, once the surgery has been performed you will be placed in a sling for a set amount of time, but can usually progress faster and move your arm more as the metal plate is providing structure and support for your collarbone. Again, each case and surgeon is different. Once you get the clear from the surgeon to remove the sling and begin using the arm again, you can begin to work on regaining your lost range of motion and strength. 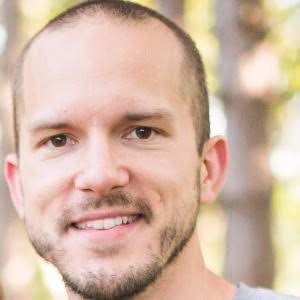 You will also usually be sent to physical therapy for expert rehabilitation and guidance. The following is what I recommend to my patients, but should only be followed after being cleared by your surgeon and/or physical therapist. You can perform a Google image search and find pictures of all of these. Pendulums: Perform two minutes each of front to back, side to side, and both clockwise/counter clockwise circles. Supine shoulder flexion with cane: Perform 2 x 20 reps staying in a pain-free range of motion. Supine shoulder external rotation with cane: Perform 2 x 20 reps staying in a pain free range of motion. Ideally, perform these exercises two to three times per day until functional range of motion is regained. Sidelying external rotation: This exercise helps strengthen the rotator cuff. Prone “I”, “T”, “Y”, and “W”: These exercises help with middle back strength and to regain scapular stability. Start on a flat surface and then progress to a ball. Standing shoulder flexion and abduction: These help to strengthen the deltoid and regain functional reaching. Rows: Either with bands, cables, or machine. This helps to increase arm and middle back strength. Be sure to focus on engaging the muscles between the shoulder blades and to keep your neck relaxed. Lat pulldown: Either with bands, cables, or machine. This helps to strengthen the latissimus dorsi which is involved with many shoulder motions. Wall push-ups: These help to maintain pectoral and deltoid strength. Start on the wall and as you feel stronger gradually lower the surface until you reach the floor. Shoulder wall flexion: This helps to regain functional overhead motion. Ideally, these exercises should be performed two to three times per week. Always keep within a pain-free range of motion and be sure to not push into pain. Also, start with just the weight of your arm until you can perform the exercise through the entire range of motion. After this is accomplished, start off with very light weights and gradually progress until functional strength is regained. In part two of this series I will discuss how you can start training again to regain your fitness.